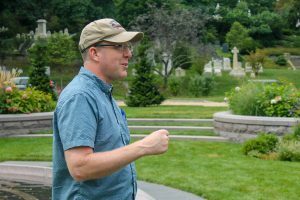 Over the past eight months Patrick could be seen among Mount Auburn’s historic headstones, landscaped gardens, ponds, and outdoor statuary, setting the locations and themes of the Mount Auburn Plays. We were thrilled to get a sneak-peek of his works this month during several staged public readings. The Nature Plays – including such titles as Cerulean Blue and Hot Love in the Moonlight — will premiere June 1-2, 2019, exploring the rich natural environment of Mount Auburn Cemetery. The plays will touch upon topics such as spotted salamanders in Consecration Dell, birders at Auburn Lake, and historic debates between naturalists who are buried at the Cemetery. Audiences will experience up to five one-act plays at various spots, surrounded by the sights and sounds of the natural world. The America Plays will take place September 8-9, 2019, bringing to life the drama, philosophies, and struggles shared by Mount Auburn founders Jacob Bigelow, by sculptors Edmonia Lewis and Martin Milmore, and by strong women like Harriot Kezia Hunt and Charlotte Cushman who sought new opportunities beyond the social norms of their time. This journey through the American experience concludes with an immigrant story, featuring some of Mount Auburn’s Armenian residents. 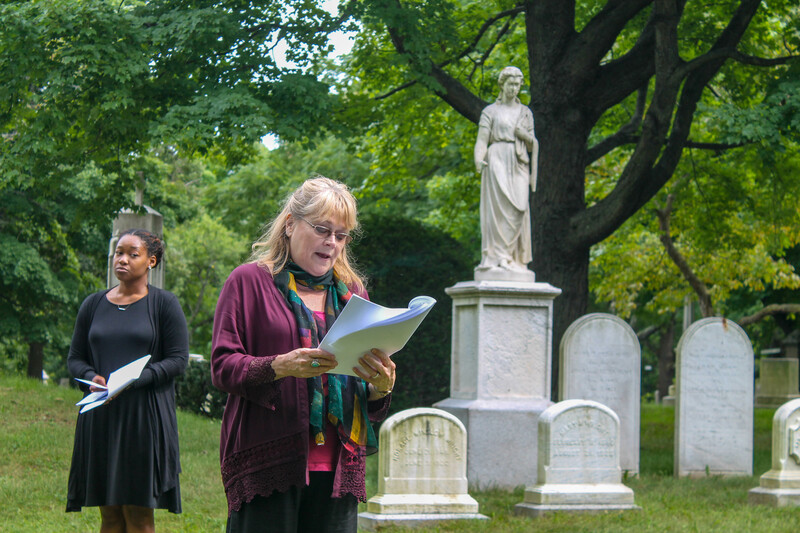 Audiences will experience up to five one-acts in the America series at different locations across the Cemetery. Play titles include Consecration, performed at Consecration Dell, and Man of Vision, performed at the location of the Sphinx Civil War memorial. 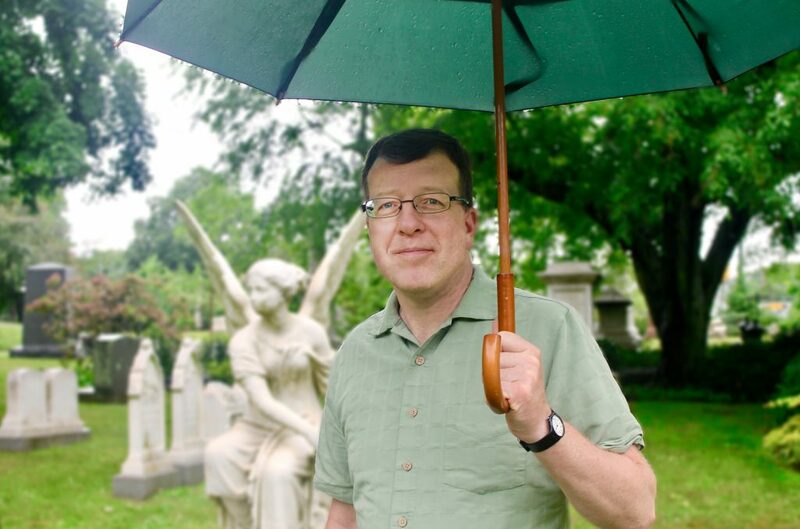 Gabridge is an award-winning writer of historical and contemporary stage plays, novels, audio plays, and screenplays. His short plays have been produced more 1,000 times in theaters and schools in 14 different countries around the world, and appear in various anthologies. 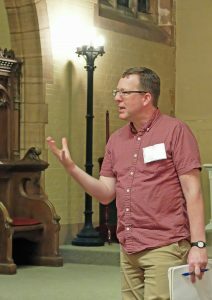 Gabridge’s passion for writing and producing site-specific plays began when he co-founded the Chameleon Stage theatre company in Colorado in 1993. His work Theatre in the Wild, a series of plays that were performed in wild spaces, earned an Arts Innovation Award from the Colorado Federation for the Arts. He also created a series of one-act plays called Asphalt Adventures that played in four different parking lots around Metro Denver over the course of a month. In recent years, he’s returned to his site-specific explorations, writing Blood on the Snow for The Bostonian Society, which had sold out runs at Boston’s Old State House in 2016 and 2017, and a 2018 production of Cato & Dolly, a world premiere event re-telling the events surrounding the dawn of American Revolution through previously unheard voices: Dolly Hancock (John Hancock’s wife and First Lady of Massachusetts), and Cato Hancock, an enslaved person in the Hancock household. He also partnered with Cambridge’s Central Square Theater in 2017-2018 to create a one-act play about quantum entanglement for the MIT Museum entitled Both/And: A Quantum Physics Play. In 2018 Gabridge launched Plays In Place, a new company that works in partnership with museums, historic sites, and other cultural institutions to develop and produce site-specific theatrical plays and presentations to help engage, entertain, and enlighten visitors in new and vibrant ways. The Mount Auburn Plays will be presented in partnership with Plays In Place. Mount Auburn’s Artist-in-Residency program was created in 2014 by the Friends of Mount Auburn with a grant/support from the Institute of Museum and Library Services (MA-30-13-0533-13). Our resident artists have included Roberto Mighty, MFA, who created “earth.sky”: a site-specific, multi-screen digital multimedia installation, and singer/musician/composer Mary Bichner, who performed pop-up concerts and composed a dozen works inspired by the pastoral setting of Mount Auburn. Patrick’s work has received partial support from a generous grant from the Bob Jolly Charitable Trust. More information about the Mount Auburn Plays will be posted at our website over the next few months. For more information about playwright Patrick Gabridge please see www.gabridge.com; to commission a site-specific work for a museum, historic site, or other cultural institution see www.playsinplace.com.